This slim, lightweight USB keyboard combines ergonomics with stylish design, it has a unique optimised key layout designed by an ergonomist to maximise productivity, and quiet, scissor action keys with excellent tactile feedback. The additional keys are:- Open, Save, Print, Cut, Copy, Paste, Play/Pause, Stop, Mute, Home, My Favorite and E-mail. 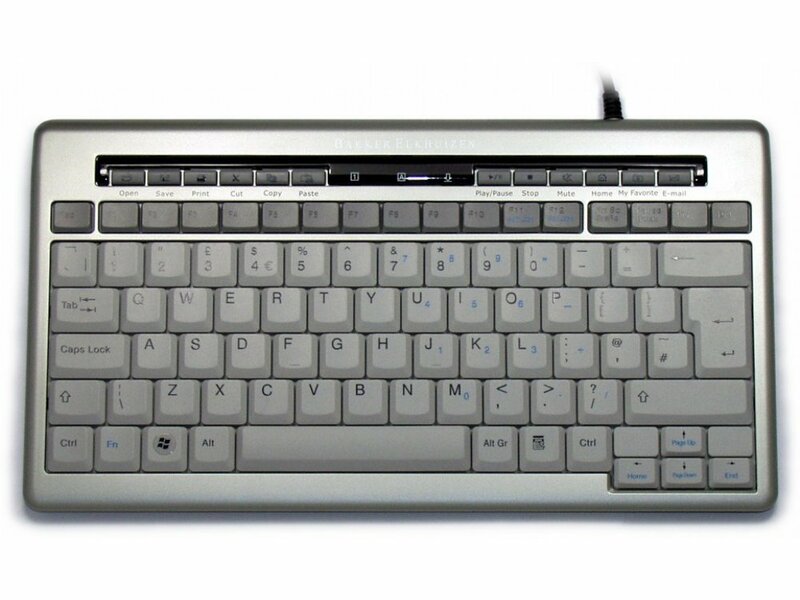 The keyboard also incorporates a 2 port USB 1.1 Hub, 1 port on either side.